Finally, the attacks in which Lashkar-e-Jhangvi, an outlawed, supremacist, anti-Shiite Sunni Muslim group, figures prominently, raises the spectre of Pakistani militants playing a role in potential future attempts to destabilize Iran by stirring unrest among its ethnic minorities, including the Baloch in the Iranian province of Sistan and Baluchistan that borders on Pakistani Balochistan. 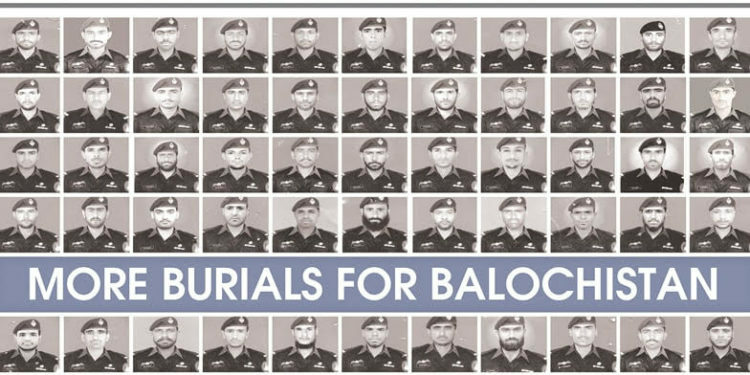 The ambiguity of government policy and security arrangements in Balochistan complicates the task of a 15,000 men-strong Pakistani military forcedeployed to protect thousands of Chinese nationals working on energy and infrastructure projects in the province and elsewhere in the country. Unidentified gunmen earlier this year shot and killed a Chinese shipping company executive in the violence-plagued financial hub of Karachi. AChinese engineer working on an energy project in Rawalpindi vanished and is believed to have been kidnapped while a Chinese couple, both teachers, were last year abducted in Quetta and killed. “Nobody will come and invest in this climate of fear,” quipped Muhammad Zafar Paracha, director at the Pakistani partner of MoneyGram International during a recent visit to the heavily fortified Baloch port city of Gwadar.